CHANTILLY, VA, Sept. 25, 2018 — Citizant, a leading provider of IT and business transformation solutions to the U.S. government, successfully completed a recertification audit of its talent acquisition and delivery processes and continues to be registered under the ISO 9001:2015 international standard for Quality Management. Citizant’s audit by BSI Group ensures federal government customers that the company consistently delivers highly qualified personnel by following a rigorous, well-defined hiring and onboarding methodology. In addition to its 12-year commitment to a quality management system comprising CMMI-DEV, CMMI-SVC, and ISO 9001, Citizant responds to customer requests to provide CMMI program planning and appraisal preparation support to customers including the IRS. Citizant is approved as a Partner by the CMMI Institute and is certified to provide official CMMI Institute services in CMMI (Service & Development) – one of the few government IT services providers with this designation. At the IRS, Citizant supports process management and quality improvement for the IRS Application Development (AD) organization. Citizant quality expertise, process coaching, and pragmatic tool adoption were instrumental in support of the IRS AD organization attaining external CMMI-DEV ML3 re-certification in 2016. Citizant gives back to the industry as a recognized leader in process management, both as an authorized CMMI Partner and a regular contributor to industry standards. Ms. Schoppert serves as a representative on the U.S. Technical Advisory Group on Quality Management (TAG 176). She also participates on the architectural working group for the CMMI v2.0 update, focusing on Organizational Behavior. 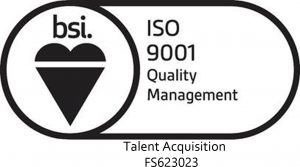 Citizant’s ISO 9001:2015 certification complements the ML3-appraised practices under both CMMI-DEV and CMMI-SVC. Collectively, these standards emphasize Citizant’s corporate commitment to provide integrated operational and support processes that ensure management commitment, effective monitoring, and continuous process improvement.